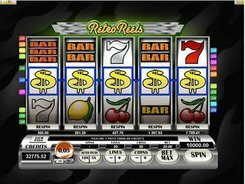 Retro Reels delivered by Microgaming is a 5-reel 20-payline slot where classic meets modern to produce a marvelous gambling experience. The symbols set includes traditional fruit symbols like bars, plums, cherries, lemons, and dollar signs. A coin value starts at $0.01 and is adjusted up to $0.25. 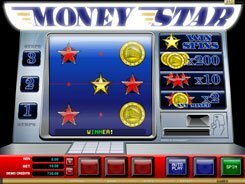 By selecting the number of coins per line, you can place a stake anywhere between a penny and $100 per spin. 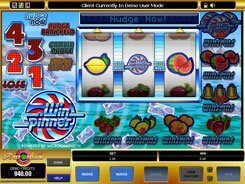 The game has a scatter, free spins, a respin feature, and a top jackpot of $50,000. 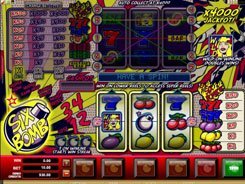 Three or more scatter symbols activate up to 25 free spins with all payouts doubled. 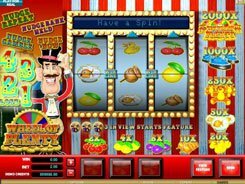 During the free spins feature you can grab a massive $110,000 reward. After any spin you can opt to respin any reel at an extra cost displayed under each reel. 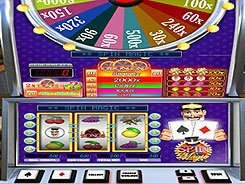 On clicking a Respin button under a reel of your choice, that reel starts spinning while the remaining four reels stay in place. Reels can be respun for any number of times in succession. 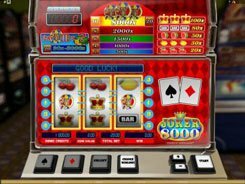 Overall, the game will appeal to a wide audience of slot fans as Retro Reels features some really nice wins and a fairly simple gameplay.